The Rubin Museum of Art, located in Chelsea, New York City, is dedicated to the preservation and collection of Himalayan art. The museum is housed in the Chelsea neighborhood of the city and inspires engagement between contemporary life and the life of the Himalayas and near regions including India. The Rubin Museum of Art seeks to establish cross cultural ties between people from different backgrounds through art, film, concerts, theater and education. The Rubin opened in 2004 and has accommodated nearly 1.5 million visitors and showcased over 100 exhibitions. There have been thousands of public and private education programs for all ages. 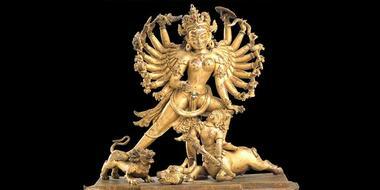 There are five floors of gallery space that encompass both the ancient past, as well as, contemporary Himalayan art. There is also an education center that provides the opportunity for visitors to become artists themselves. 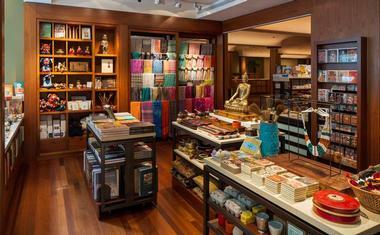 The café and gift shop further expand the connection between the Himalaya and India culture and America. The Rubin’s collection of Himalayan art includes nearly 4 thousand artifacts spanning the course of the last 15 centuries. 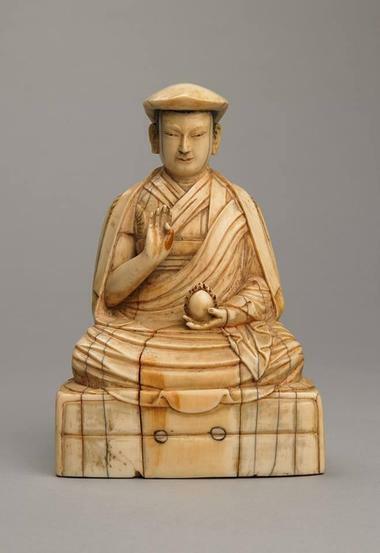 The collection showcases art from many countries in the region including, Tibet, Pakistan, Afghanistan, India, Nepal, Bhutan, China and Mongolia. Most of the permanent collection features scroll works and sculptures, but other mediums such as masks, textiles and paper are also highlighted. The permanent collection is showcased in two permanent exhibitions. 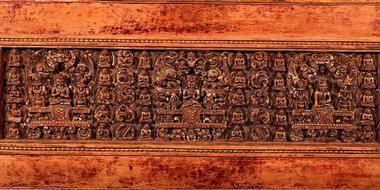 Gateway to Himalayan Art encompasses a large range of cultural works that provides a general overview of artistic techniques used in the Himalayan region and the materials that were used to make art. Masterworks: Jewels of the Collection is exactly as the name entails—the best of the collection that highlights the main styles that are incorporated into art from the region and how artistic developementn as occurred in a region surrounded by mountains, typically closed off to the rest of the world. Monumental Lhasa explores the most revered monuments in Tibet are viewed by locals. This exhibit specifically showcases the fortress, palace, and temple of Lhasa, the holy city and capital of Tibet. History prior to the 20th century is examined and works from both the loaned private collections, and special pieces of the permanent gallery collections comprise this exhibit. 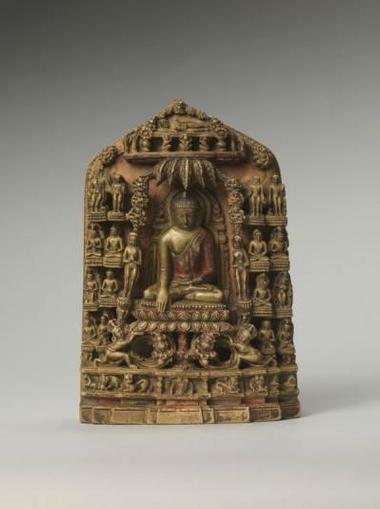 Nepalese Seasons Rain and Ritual features 50 artifacts from the Rubin’s collection of art from Nepal specifically. There are also pieces that are on loan from private collections. The region of Nepal that is highlight is the Kathmandu Valley and the festivals, rituals, and complex natural environment of the valley are illustrated in this exhibition. Scared Spaces focuses on devotional activities such as ritual and prayer and the divine places that they are done in. This is the second creation of this exhibit which now highlights the high Himalayas and includes sound. The sounds that surround sacred Buddhist temples and shrines such as prayer flags flowing in the wind, chanting, and silence. There is a video, meditative experience, interaction with soundscapes, and places of contemplations that are part of this installation piece. 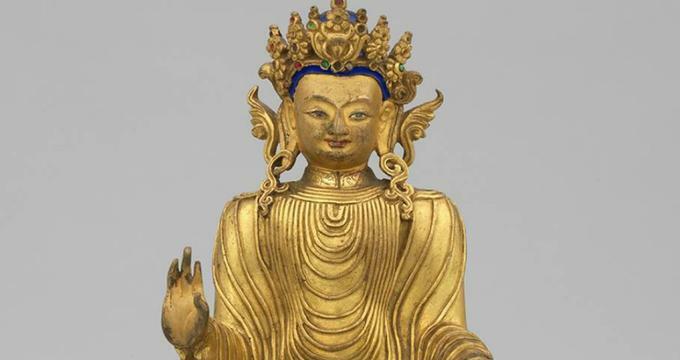 Masterworks of Himalayan Art- This exhibit changes frequently, but for the current year and into the next focuses on the master pieces of Himalayan art and those that had the most significant contribution to the culture of the region. The piece that are showcased in this exhibit are pulled from The Rubin’s permanent collection and explores the last 1000 years of art history and style. This exhibit is organized by region and shows how different the distinct cultural divides are in the area. A virtual pilgrimage is also part of this exhibit that allows visitors to explore Mount Wutai’s monasteries, caves and art. The Rubin presents many series throughout each year that are thematic and represent many different facets of art and science. The first and most current series are listed below although there are several more scheduled. The Wisdom Matrix seeks to find out where your greatest strengths lie—in your head, heart, or gut. This series features celebrity dialogue with Steve Buscemi, Rosanne Cash, Mary Chapin Carpenter, and open conversation panels on The Holy Mountain, Hell, Chasing Consciousness and cabaret cinema. Musical Show Boat and the book Animal Farm are both presented in Cabaret Cinema. Breathe teaches meditation and how the old teachings relate to contemporary life. Connections between yoga and meditation are explored and practiced. Naked Soul features singers and songwriters who will perform without any devices or instruments. No microphones, ear pieces, or back up. Just their voice, on stage. These artists will perform on select Fridays and include Anais Mitchell, Dana Fuchs, Joe Purdy, Duncan Sheik, Ben Sollee, and many more.